In the dusk of Toronto’s King Street West, the TIFF Bell Lightbox stands aglow as guests hurry in from the cold and into a packed auditorium. The impending event emits a palpable energy that runs between every cushioned seat of the Allan Slaight playhouse. 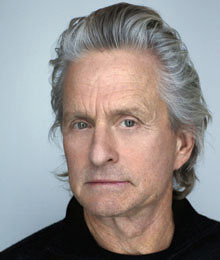 Shallow spectators may see Michael Douglas’s Hollywood life as a bed of roses but only he knows the pain of its thorns. In the midst of his success, Douglas, 65, is currently enduring the later stages of an eight-week course of radiation treatment to cure his aggressive stage IV throat cancer. While he fights the pain of the chemotherapy, his career continues with his box-office hit Wall Street: Money Never Sleeps.